An indoor and outdoor event held in celebration of aviation careers and the history of helicopters. Spectators will be able to watch in wonder as, the Nebraska National Guard, law enforcement, commercial and private helicopters fly over the horizon and land right in front them. The helicopters begin their descent at 10 AM. 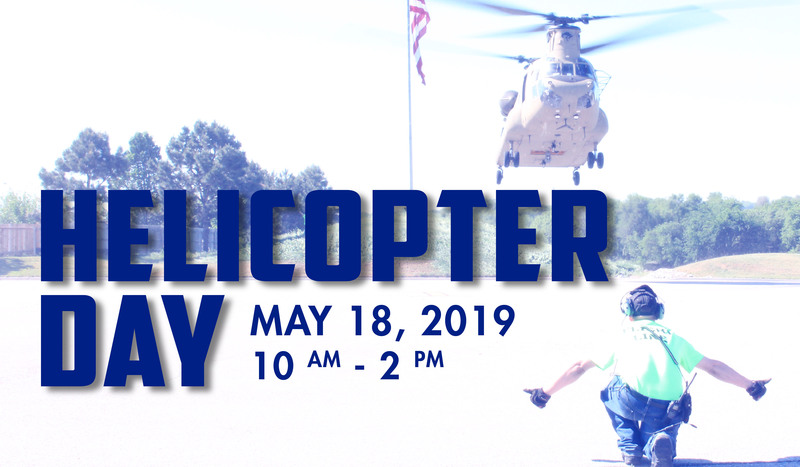 Register onsite for a helicopter ride, tour the helicopters after they land or head inside for a drone workshop, free balloon helicopters, a make-and-take project, and hands-on activities offered by community partners. Helicopter rides are $60 per person per ride (plus tax). Each person needs to be able to sit up and be restrained by seat belts in their own seat. No age restrictions for kids. Portion of the ride proceeds go to support the Museum. WE ARE NOT ACCEPTING HELICOPTERS FOR DISPLAY ON THE DAY OF THE EVENT. Please email events@sacmuseum.org if you are interested and we will try to coordinate a spot for you. Click the link to enter for a chance to win a Family fun pass for four by May 13. CLICK HERE!